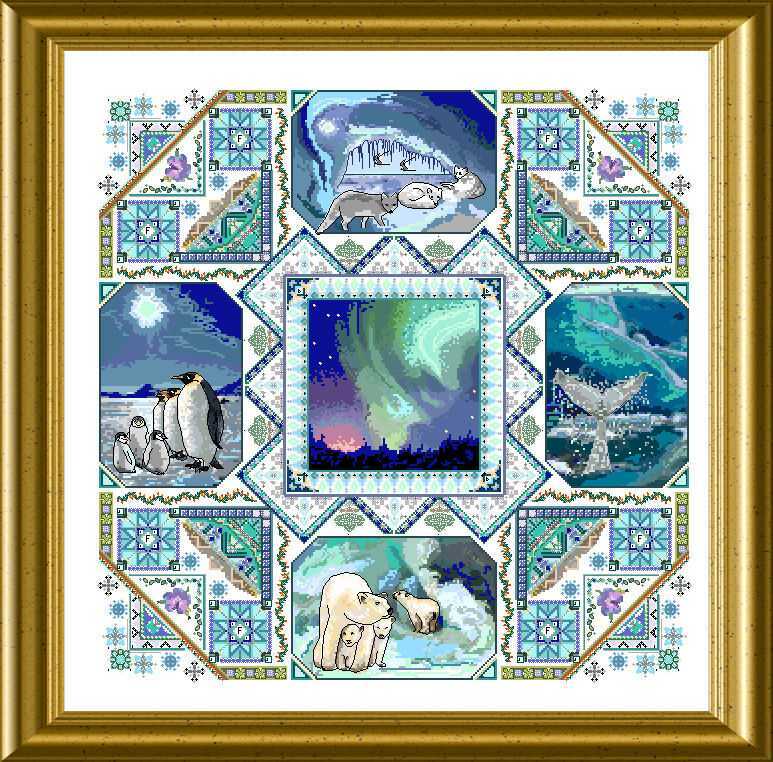 The theme for this Mandala are Polar and Arctical beauties : animals, nature, light , ice and the different moods of the colors in this frosty landscape. 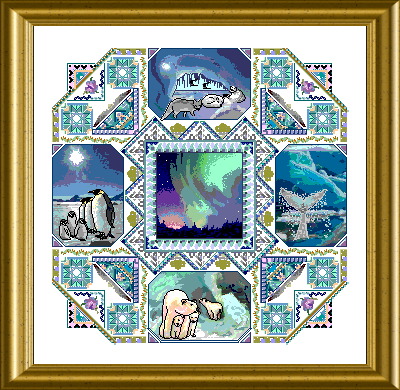 The design feartures mainly cross stitch, but you will use many different threads as well in Special Stitches, which are well explained by enlargeable diagrams. 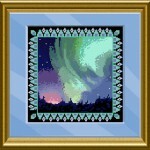 Beads and crystals will give an icy sparkle and interest to the embroidery. 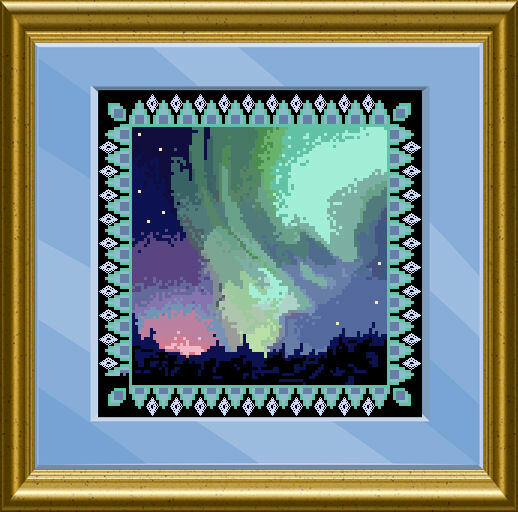 The Polar Lights center is available in a very detailed over-one version, but as well in over-two cross stitch, just to your likings !